Acklington: Mark Harrison, land at Whittle Mine, installation of 40 solar panels. 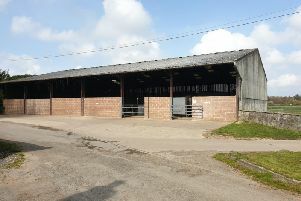 Alnham: Tim Brown, Scrainwood, existing stackyard to be used for general-purpose agricultural building. Alnwick: Peter Hall, 31 Willoughby Park, certificate of lawful development of an existing use for a new single-storey rear extension. Longframlington: David Shotton, former Dairy Low Town Farm, change of use of existing detached tack/storage building to a cattery. Swarland: Chris Scott, Briardene, Coast View, replace double glazing, extend pitch roof to replace two flat roof sections, modify existing layout to change use of three rooms to become a garage, utility room and bedroom, internal modifications of kitchen lounge area. Wooler: Mr & Mrs Frost, 21 Church Street, change of use from barber shop to dog grooming parlour, Mr & Mrs Andrew Frost, Tilesheds Farm, U1075 Tile Sheds Junction to Turveland Junction, outline application with all matters reserved -proposed new one-and-a-half-storey dwelling and detached office with new access to the highway (as amended 04.10.16).